Michelle Erickson has a B.F.A. from The College of William and Mary. Her works are in many major museums. Renowned for her rediscovery of lost ceramic techniques Erickson created three films while artist in residence at the Victoria and Albert Museum in 2012. 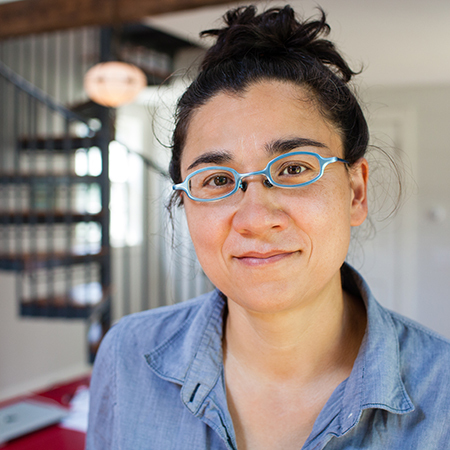 Michelle received a VMFA 2013-14 fellowship award. Ayumi Horie, Known for innovating a wheel technique involving no water, Ayumi will demonstrate dry throwing as a way to make bowls, plates, and match strikers. By using no water, a different texture, sensibility, and speed of making may develop that lays the groundwork for drawings to play off of. Ayumi will demonstrate sgraffito by drawing animal images on pots. Discussion will cover the role of social media, particularly Instagram, in the marketing of pots and how photographs can shift people’s understanding of ceramics. Ayumi Horie is a studio potter from Portland, Maine who has utilized social media to support her studio practice and online fundraisers she has organized such as Obamaware and Handmade For Japan. She was the first recipient of the Ceramics Monthly’s “Ceramic Artist of the Year” award. 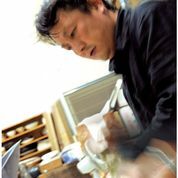 Horie is on the board of the American Craft Council. Kelly and Kyle Phelps will demonstrate a variety of techniques used to create figurative relief work with an emphasis on storytelling. The twins will share their process from start to finish on how their work is created and discuss how the use of the figure can be the perfect vehicle to talk about topics that include but are not limited to social/political, environmental issues, race, religion, class, sexuality, gender, poverty, war, and other current issues. Sequential topics ranging from initial idea generation, music, personal interviews, site visits, material meaning, and other related topics that inspire and inform their work will be explained. Formal aspects of armature/relief board construction, composition, scale/proportion, figure sculpting, surface treatment, and final presentation will be revealed. In this two-day workshop, the twins will create a high relief figurative narrative that will be influenced by their blue-collar working class background. Identical twin brothers Kelly and Kyle Phelps are Associate Professors at private Catholic universities in Ohio. Kelly Phelps is an Associate Professor/Chair at Xavier University (Cincinnati) where he over sees the sculpture department. Kyle is an Associate Professor at University Dayton (Dayton) where he is the head of the ceramic department. 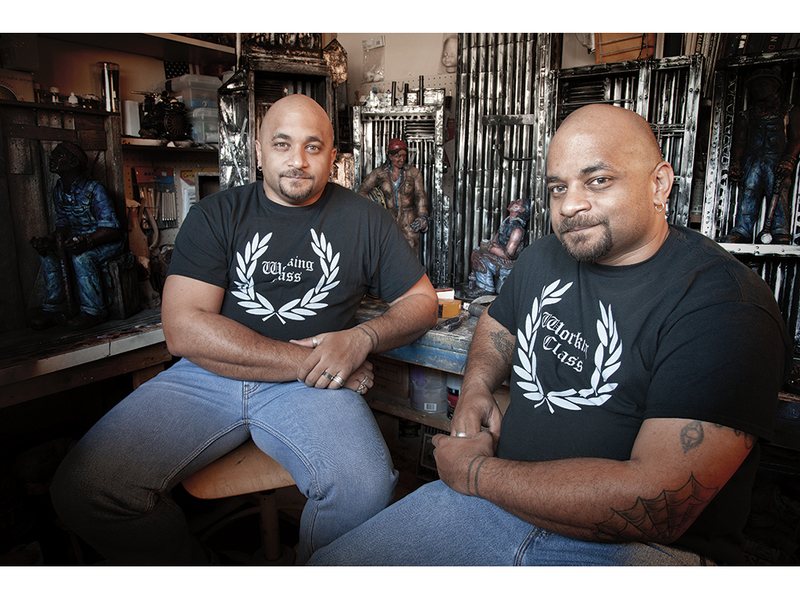 Much of the twins’ work is about the blue collar working-class, race relations and the everyday struggles of the common man and woman. Both Kelly and Kyle continue to work collaboratively to create their artwork and share a studio in Centerville (OH). 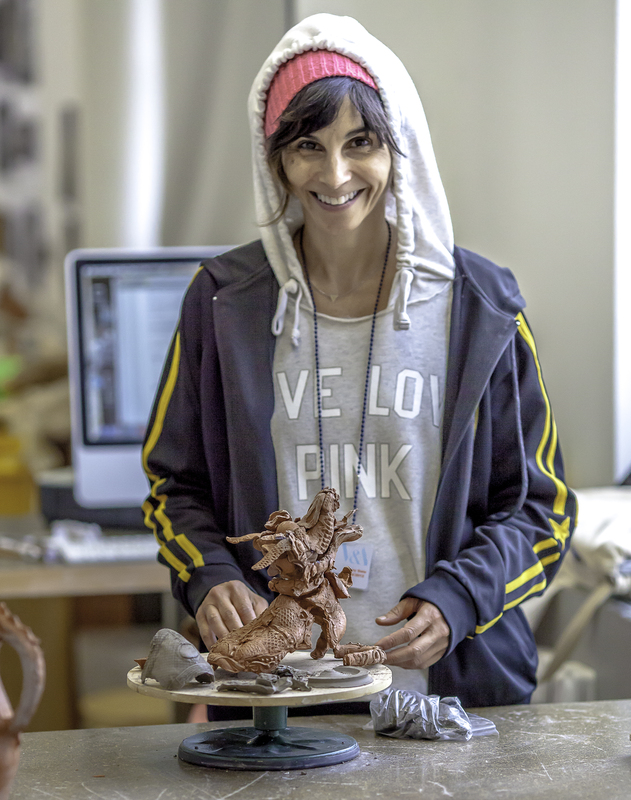 The Phelps twins have conducted workshops at the highly respected Penland School of Craft Arts as well as the Baltimore Clayworks. The twins share numerous grants, regional and national exhibitions, and commissions. More notable private collectors of the twins work are in the hands of film director Michael Moore, and actor Morgan Freeman as well as a major review in the world acclaimed Sculpture Magazine and American Craft Magazine. Ching-Yuan Chang uses color slip as the vehicle to express personal interpretation on the Taiwanese cultural phenomenon. Surface treatment of my works is not just about color, texture and design, it is about why I choose this techinique and how the process also plays part of the concept. Ching Yuan, Chang currently is a professor of art at the Tainan National University of the Arts in Taiwan. In 1991, after he received his MFA in ceramics for the SAF, Rochester Institute of Technology, Ching Yuan received 2 year “ Lormina Salter Residency Fellowships from the Baltimore Clayworks. And he also awarded the “Individual Artists Grant in the Visual Arts” from the Maryland State Art Council in 1992. He has exhibited his works internationally across Asia, Europe and United states and have curated and judged many international shows and ceramics competition.